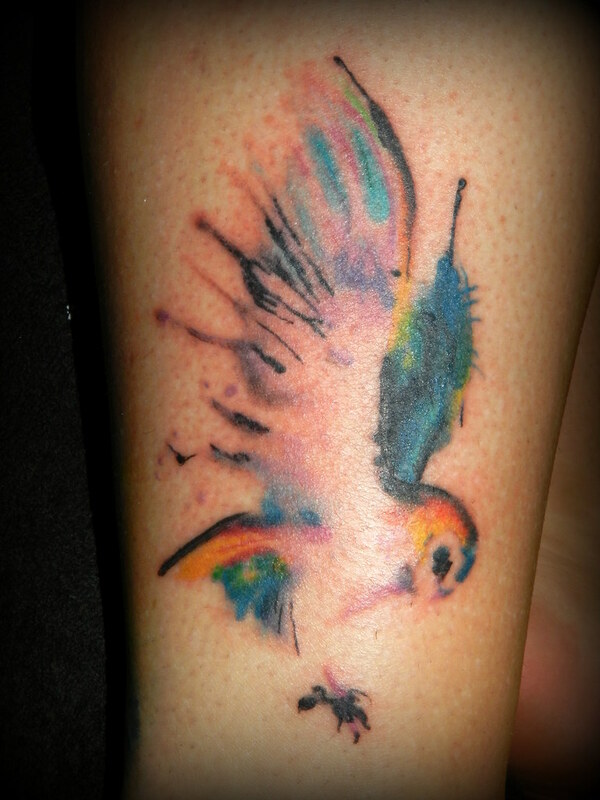 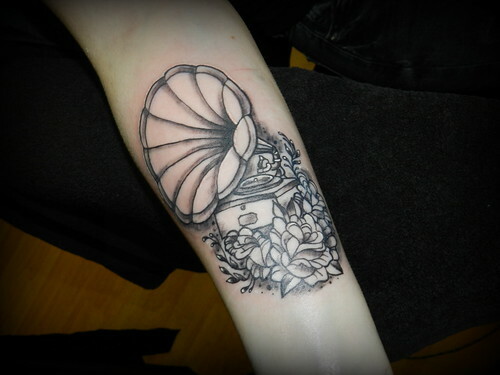 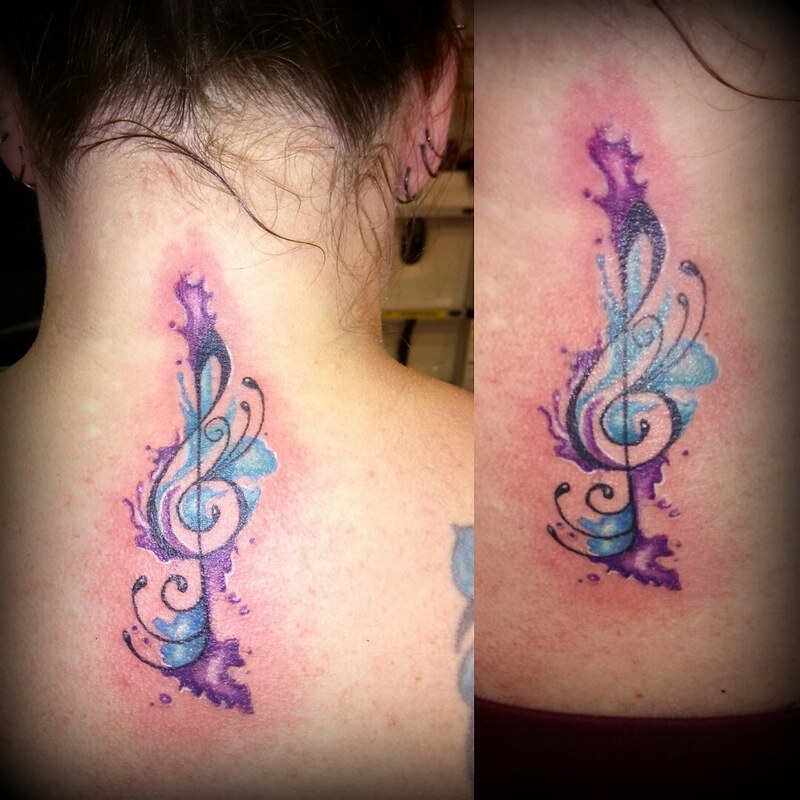 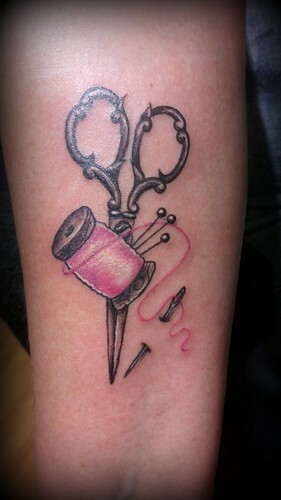 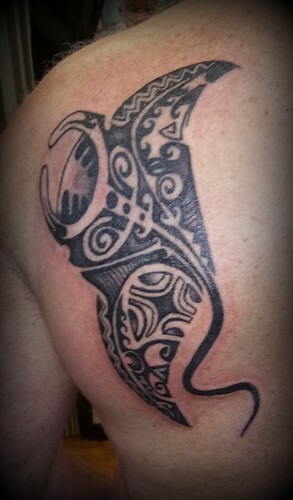 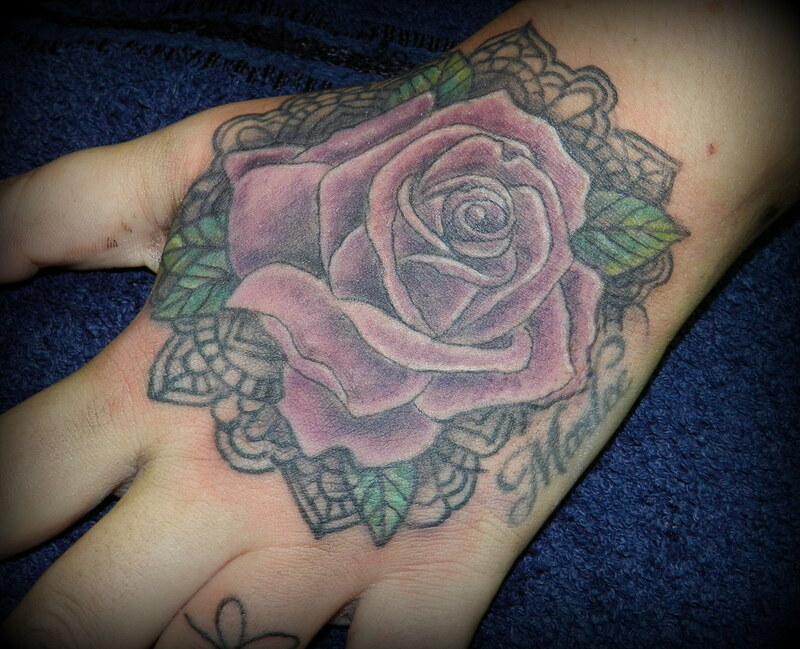 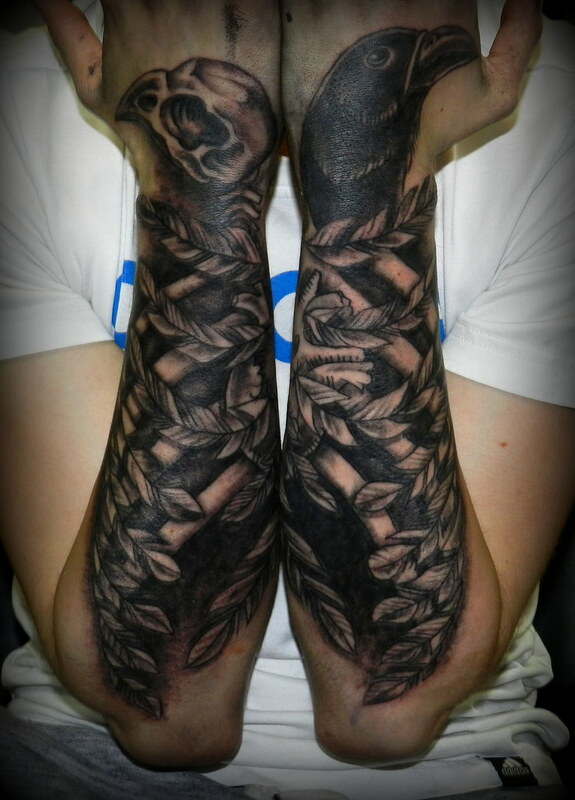 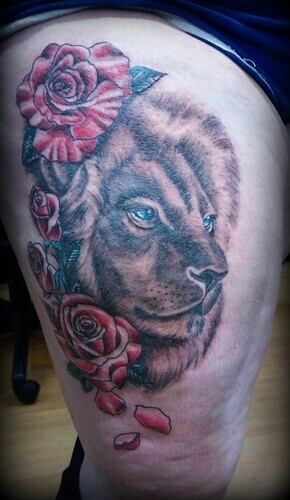 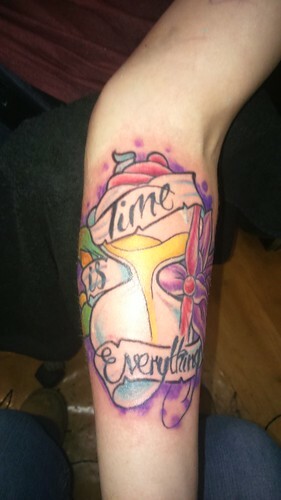 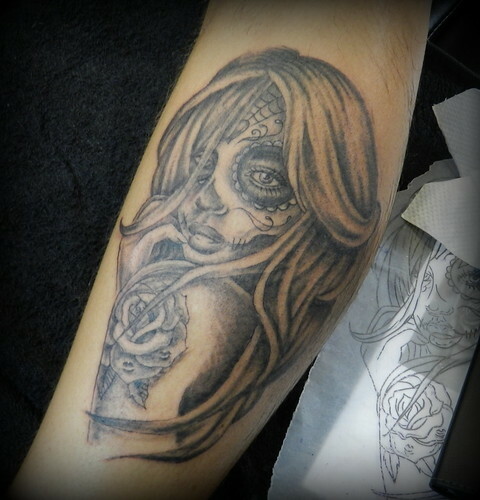 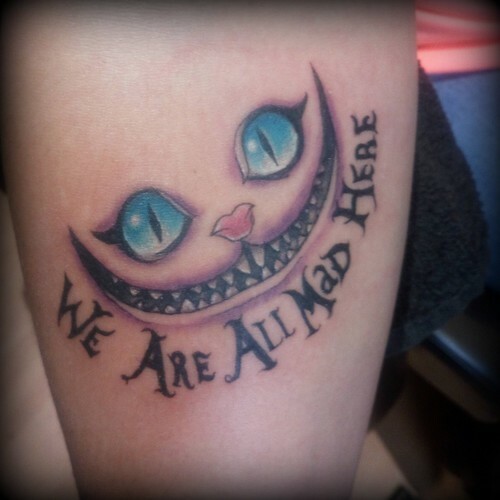 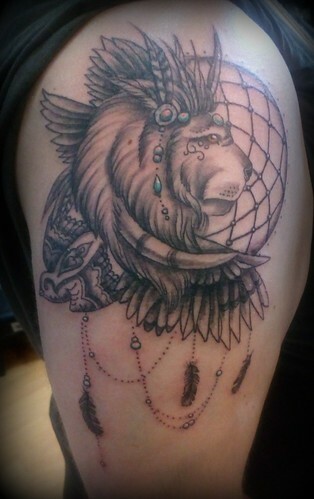 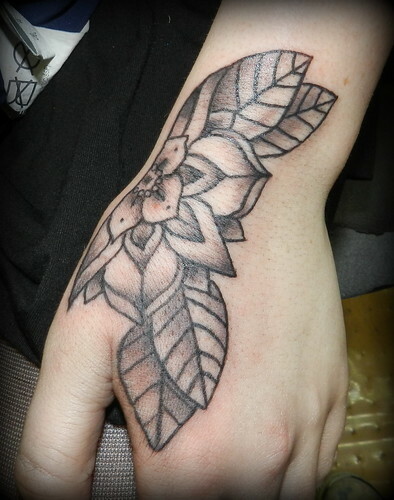 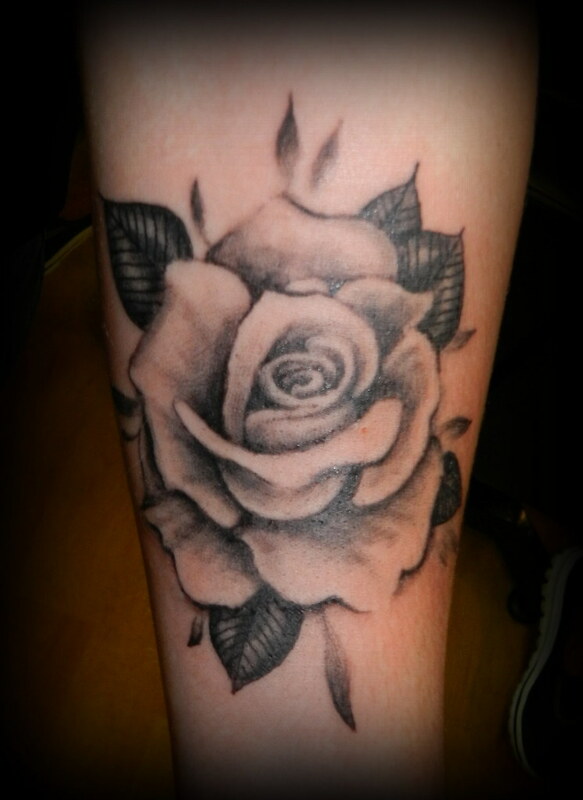 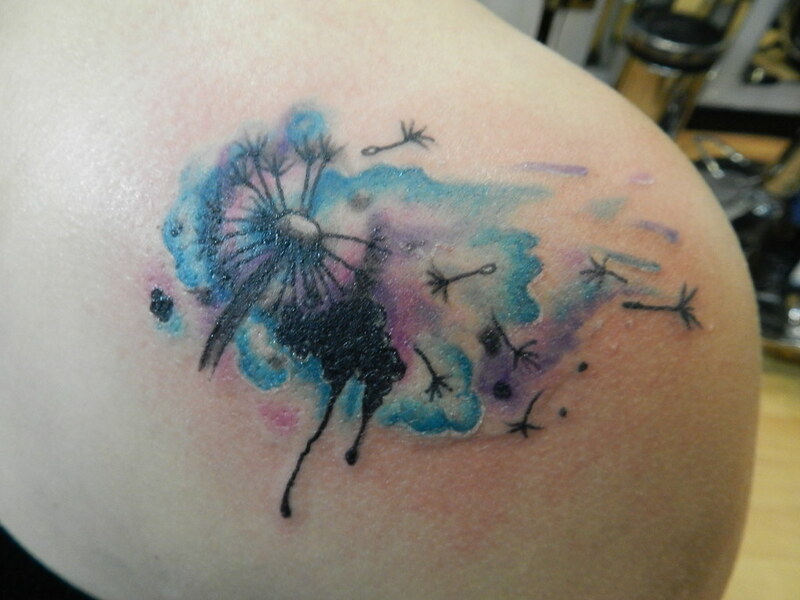 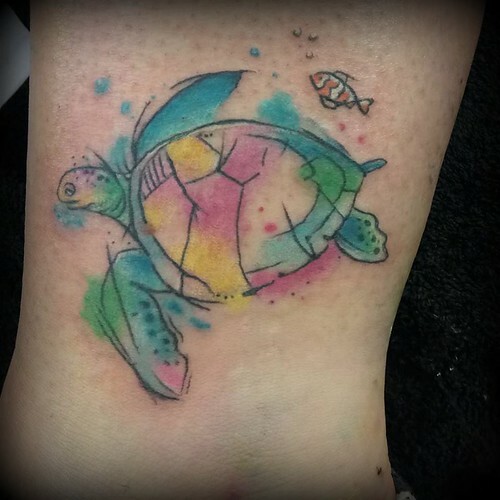 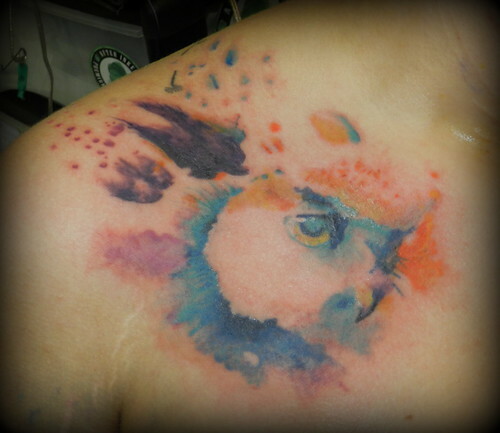 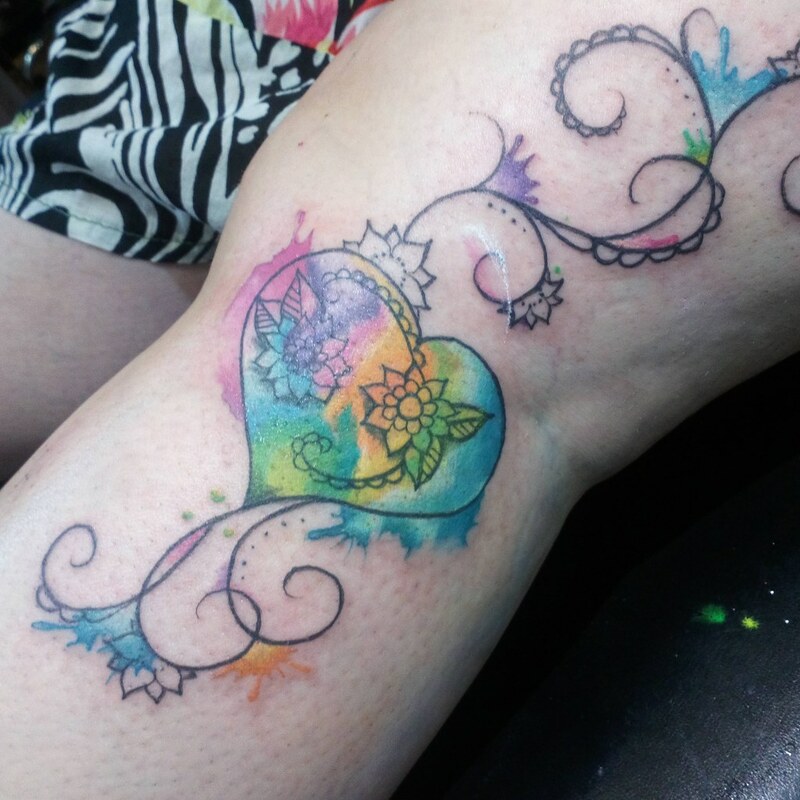 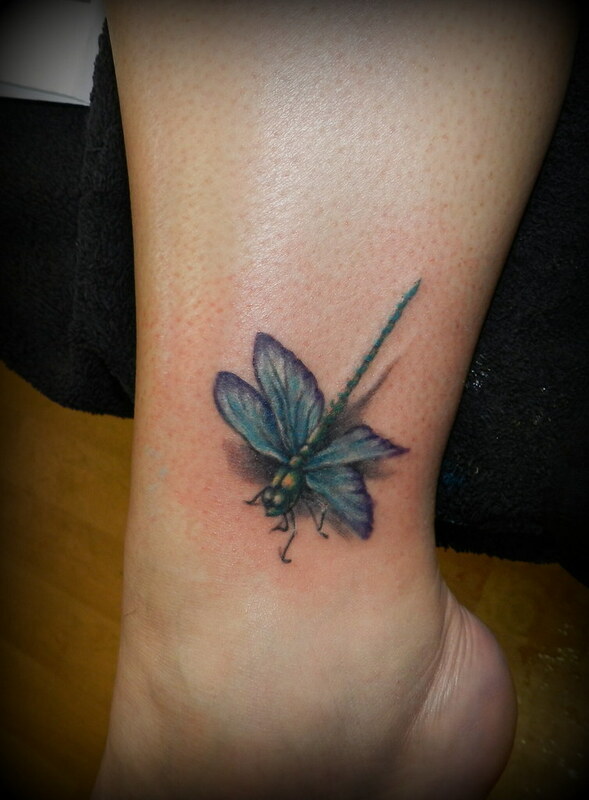 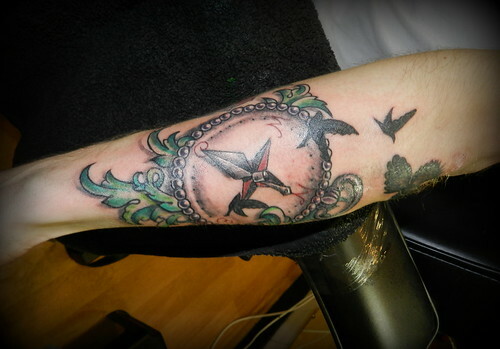 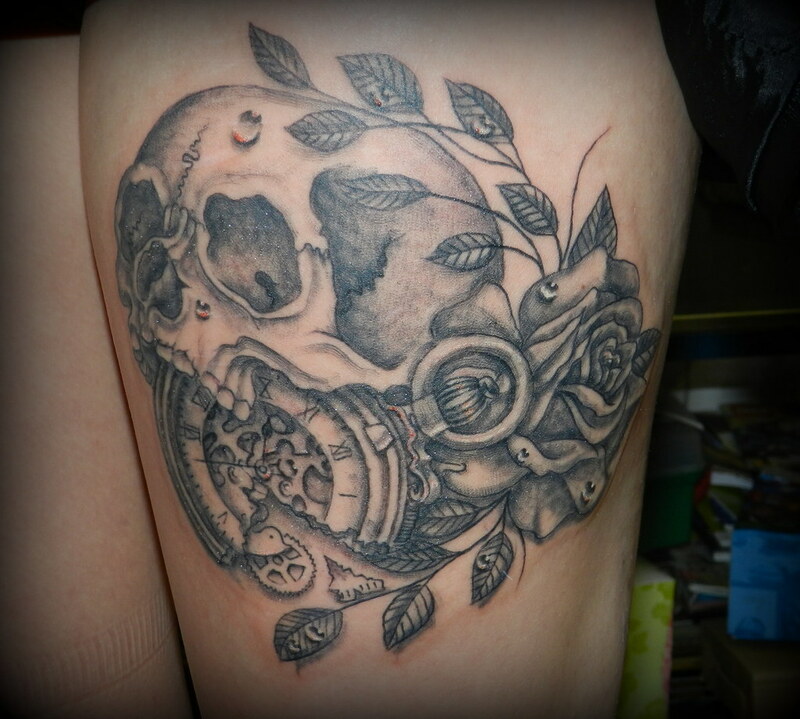 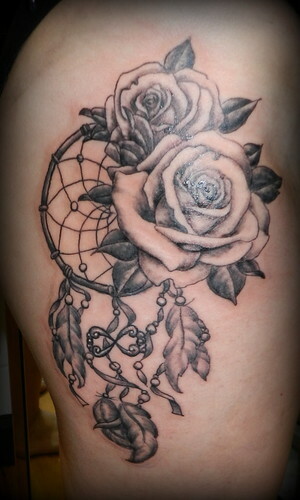 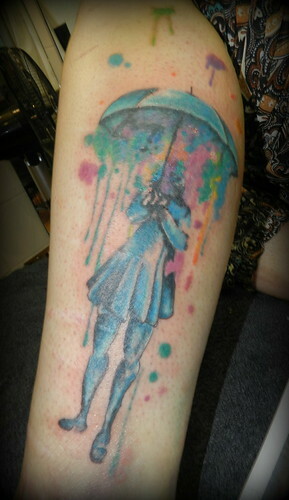 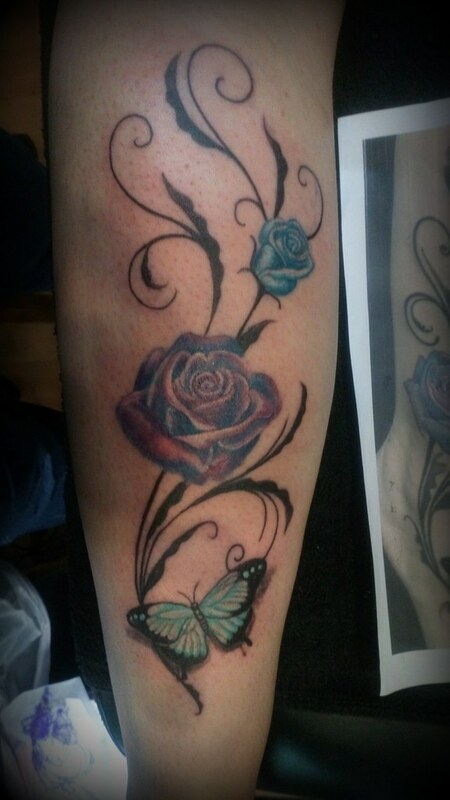 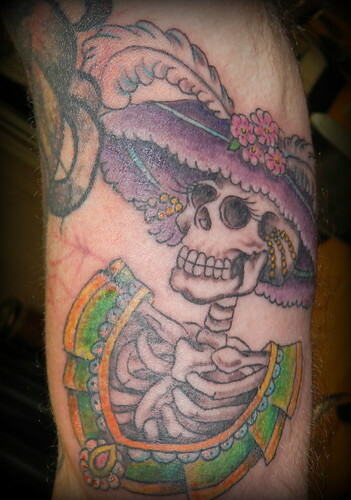 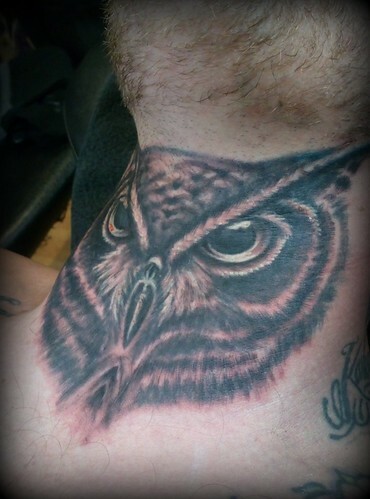 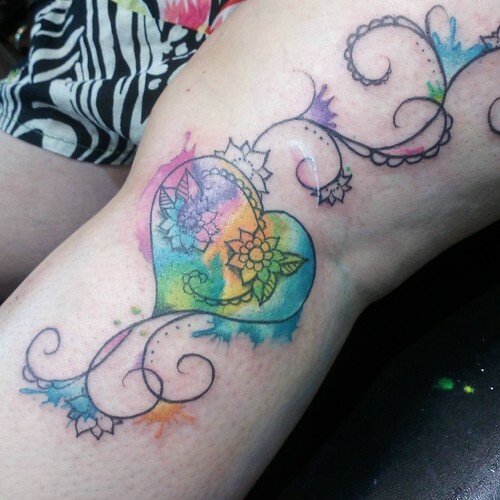 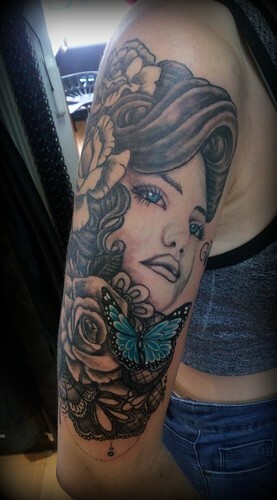 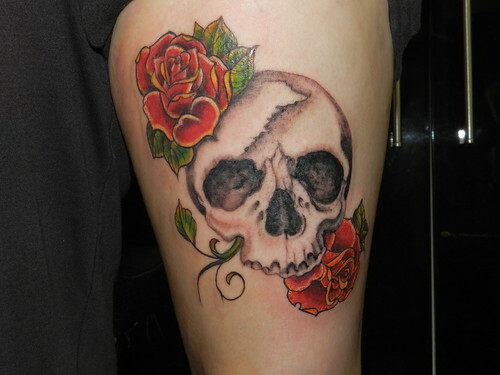 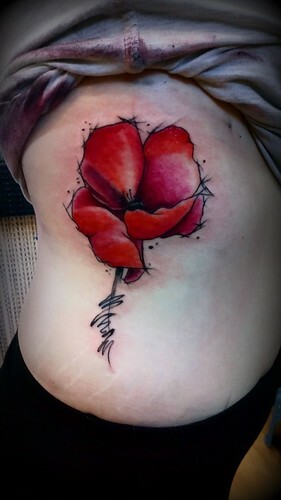 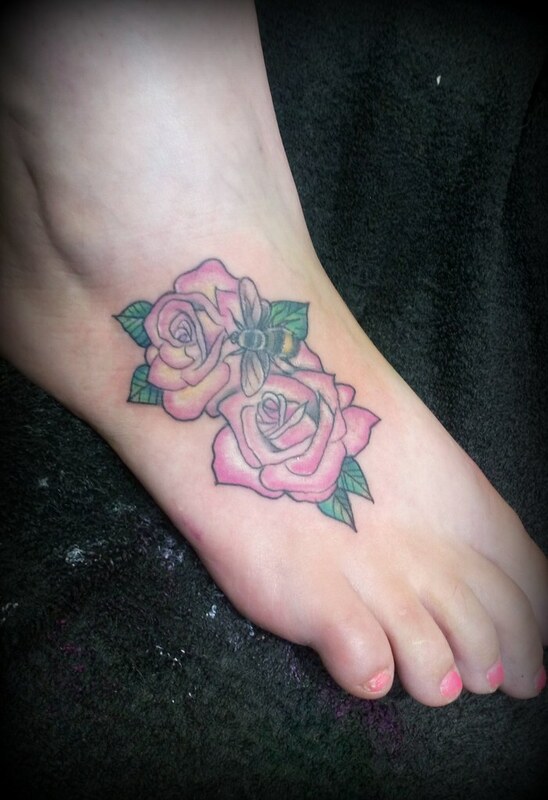 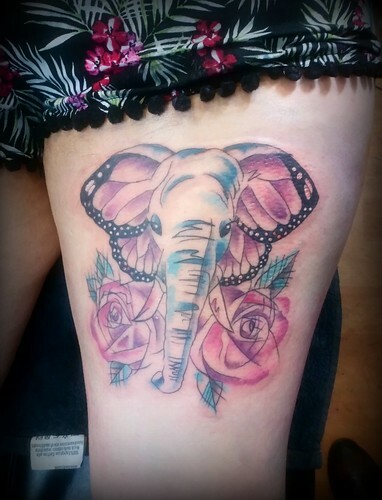 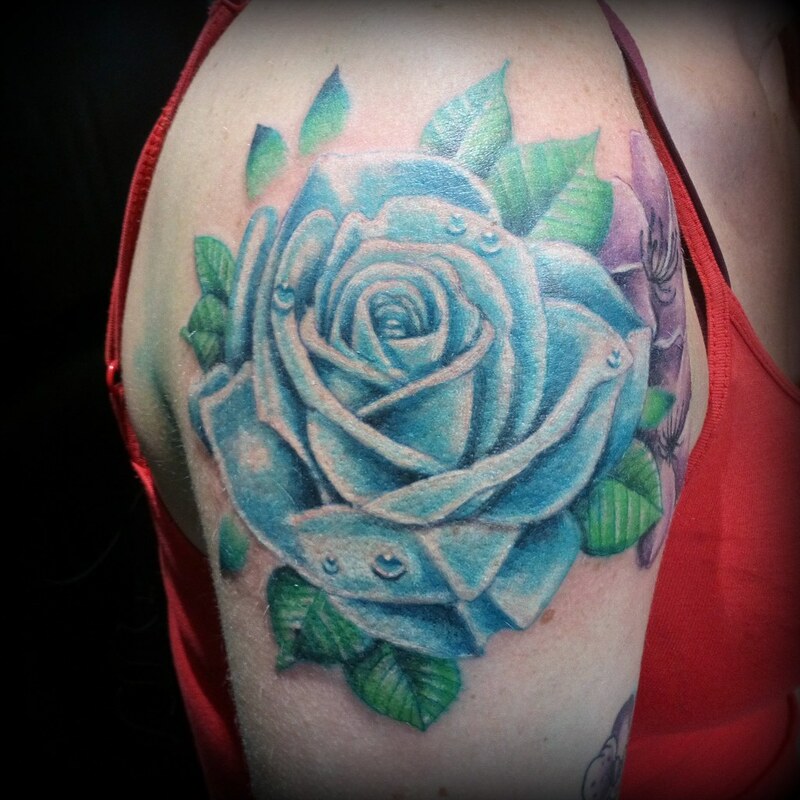 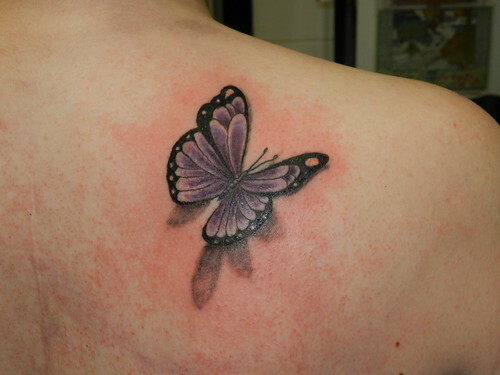 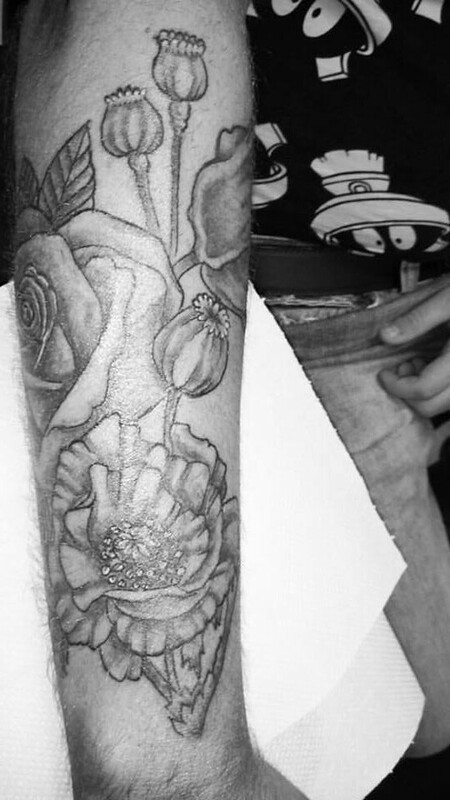 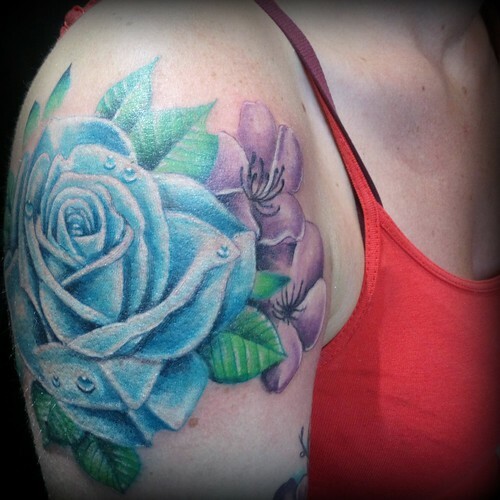 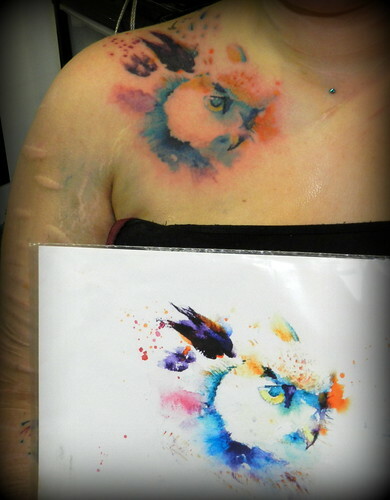 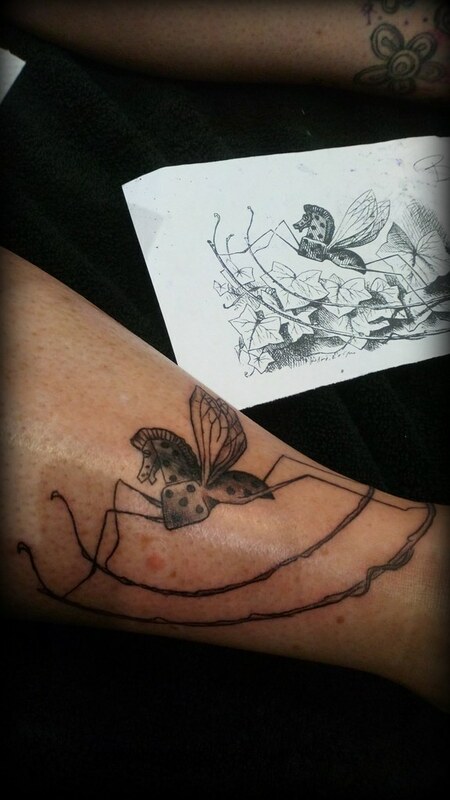 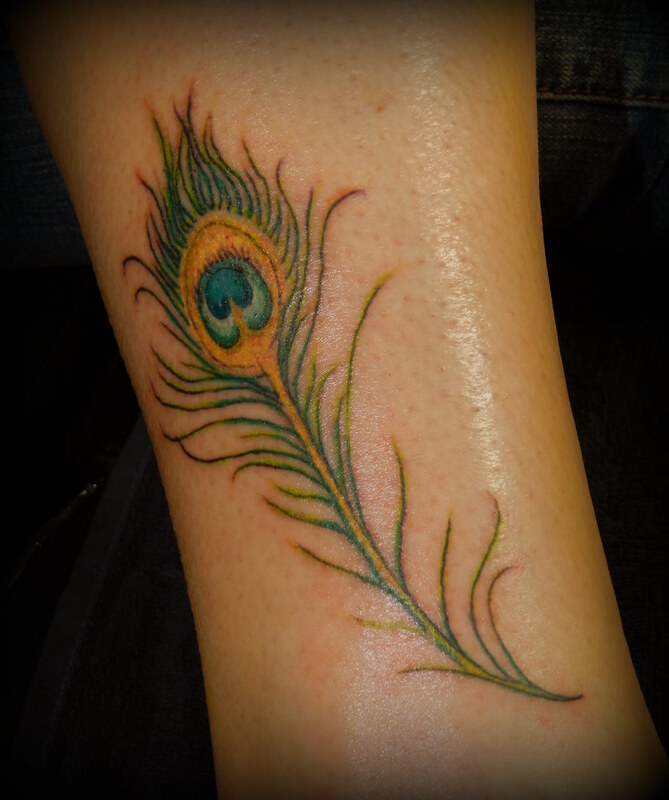 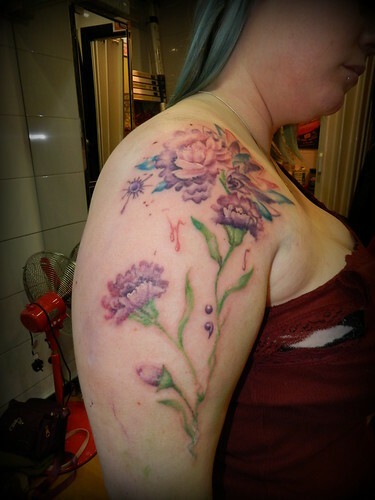 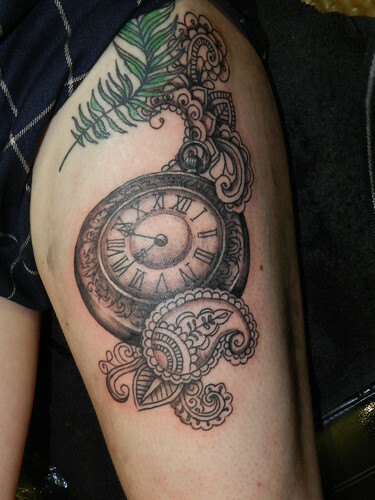 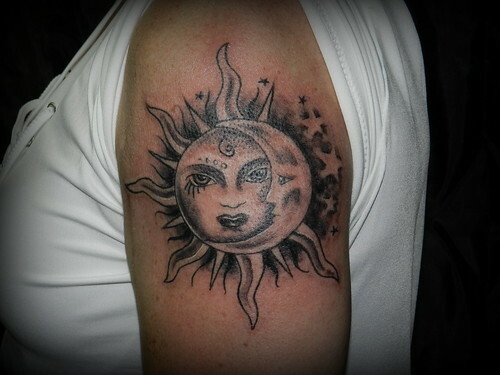 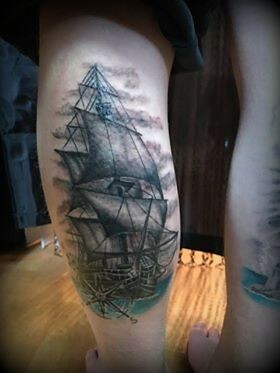 Angi studied art at both college and University and knew she wanted to tattoo from a young age. She apprenticed at Dr Feelgoods and has been tattooing since 2013. 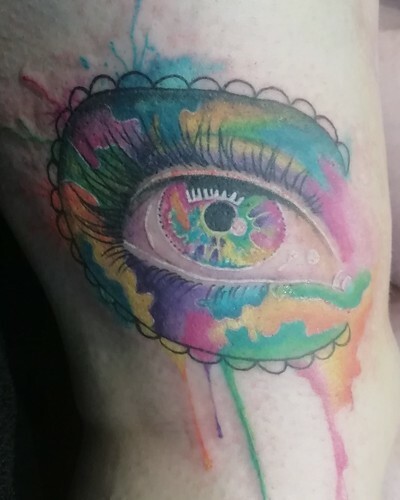 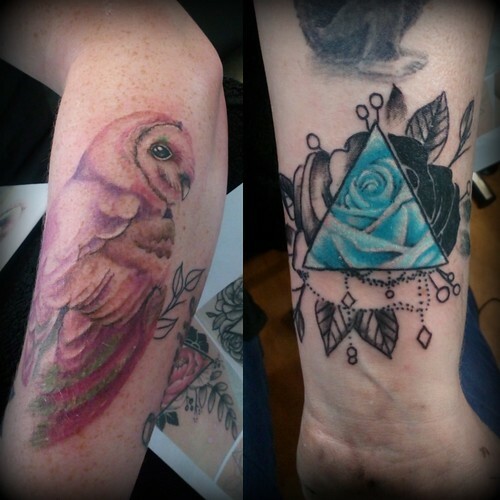 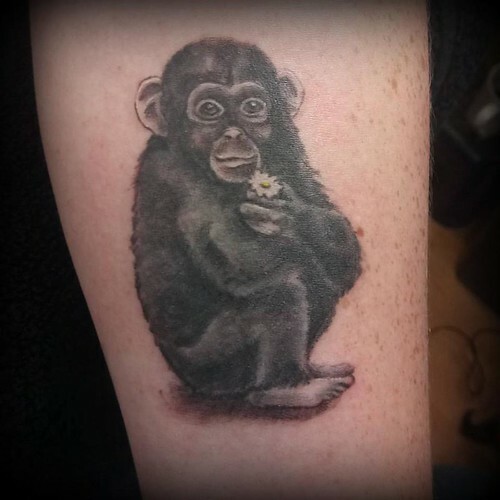 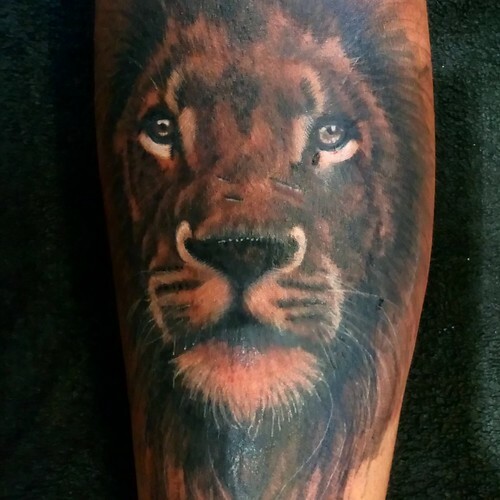 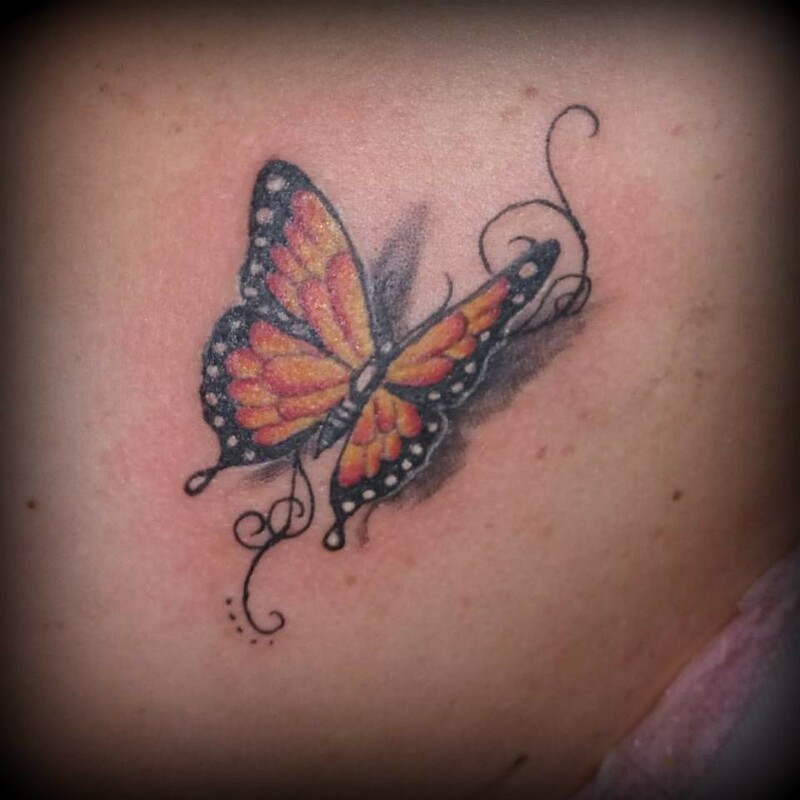 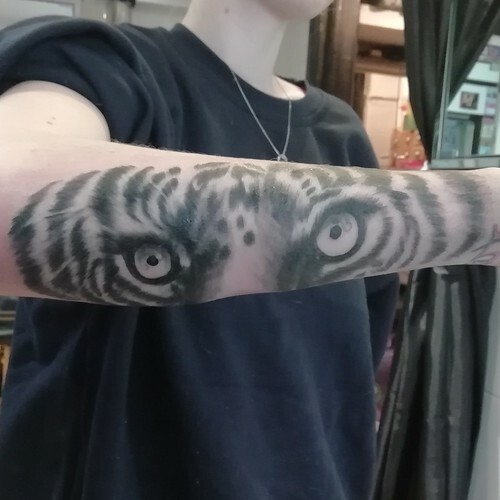 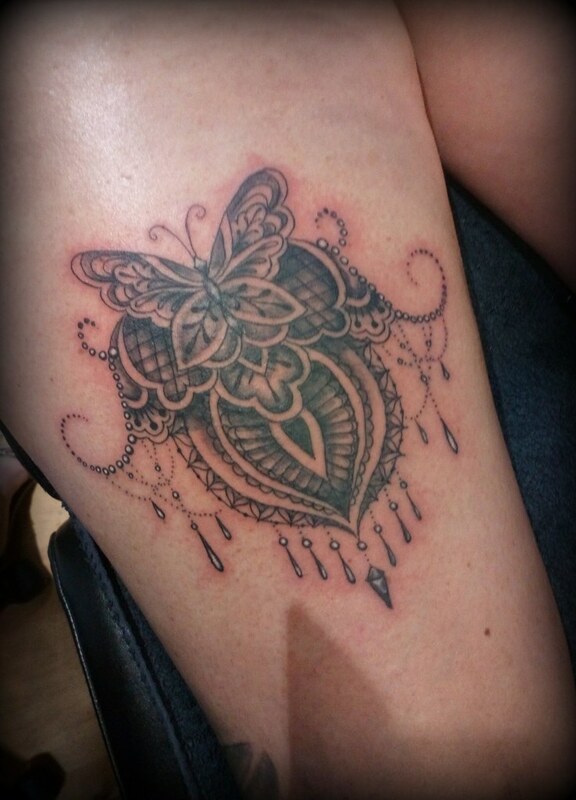 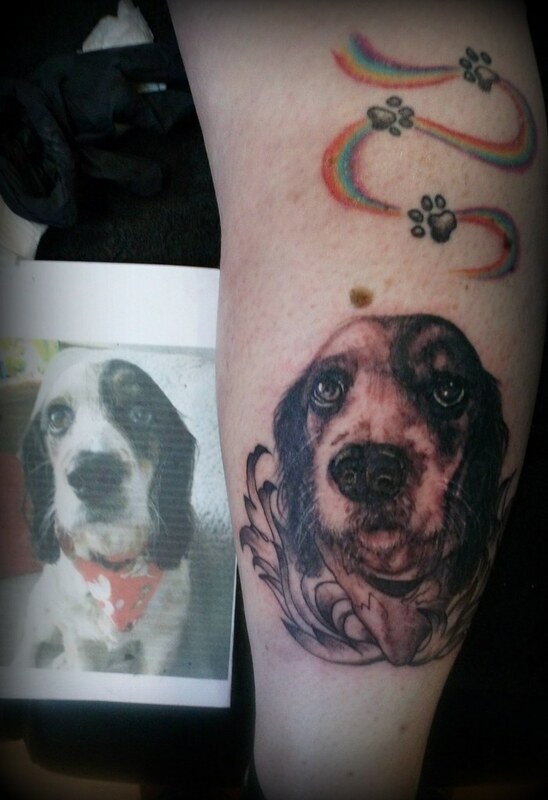 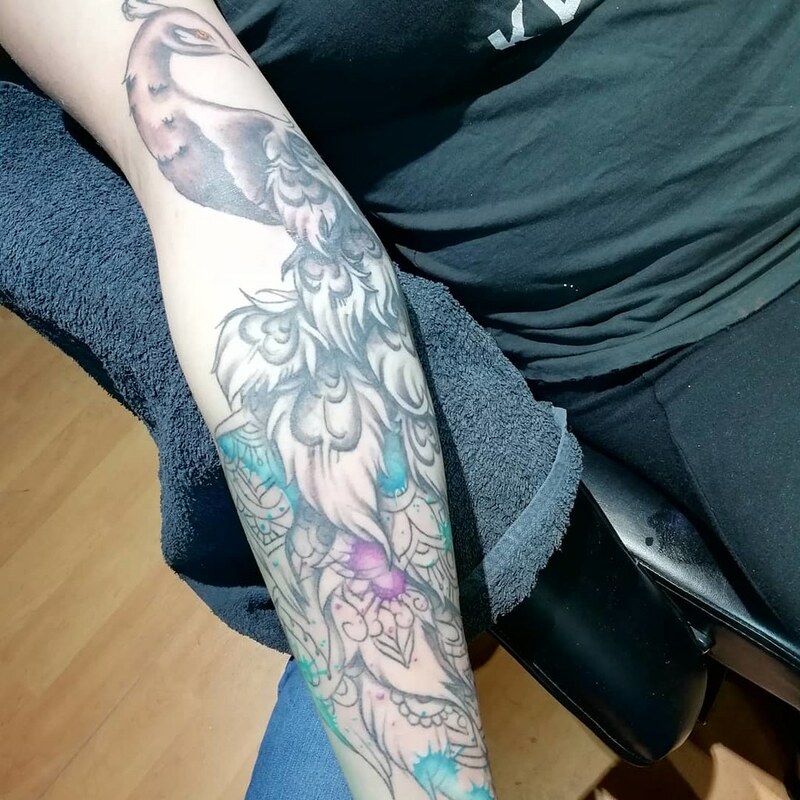 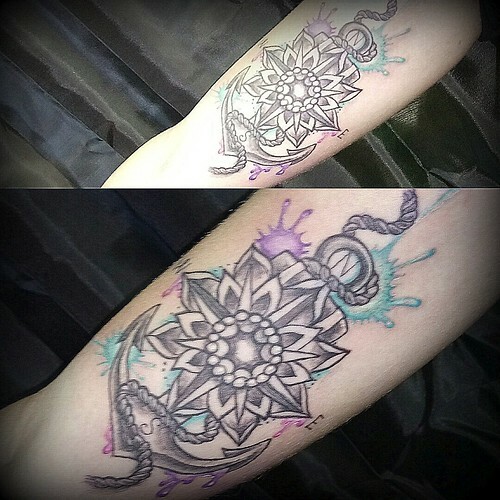 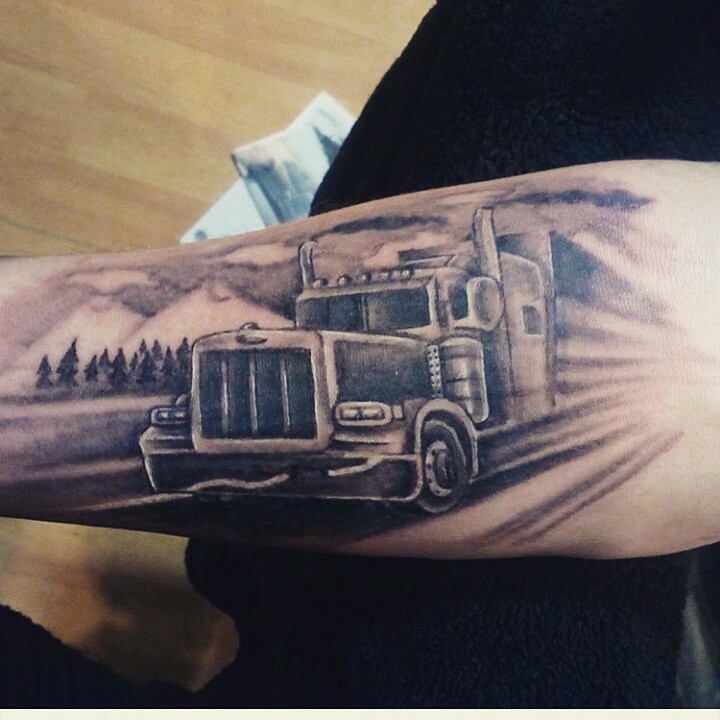 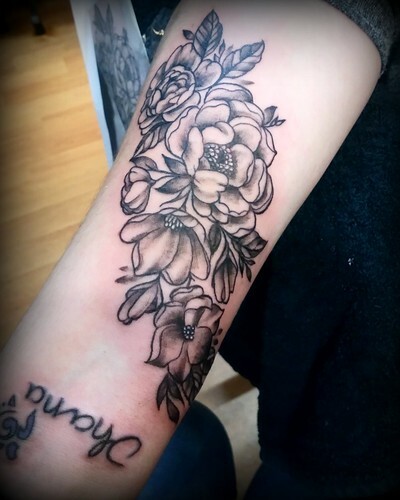 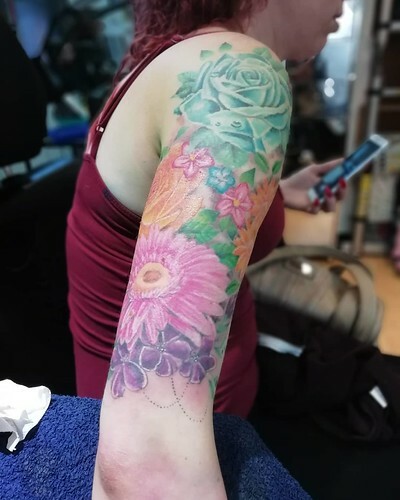 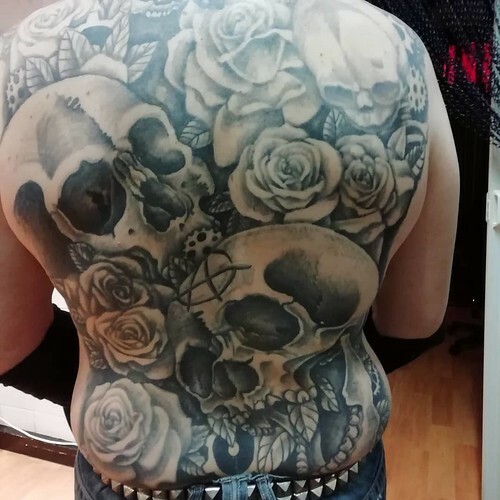 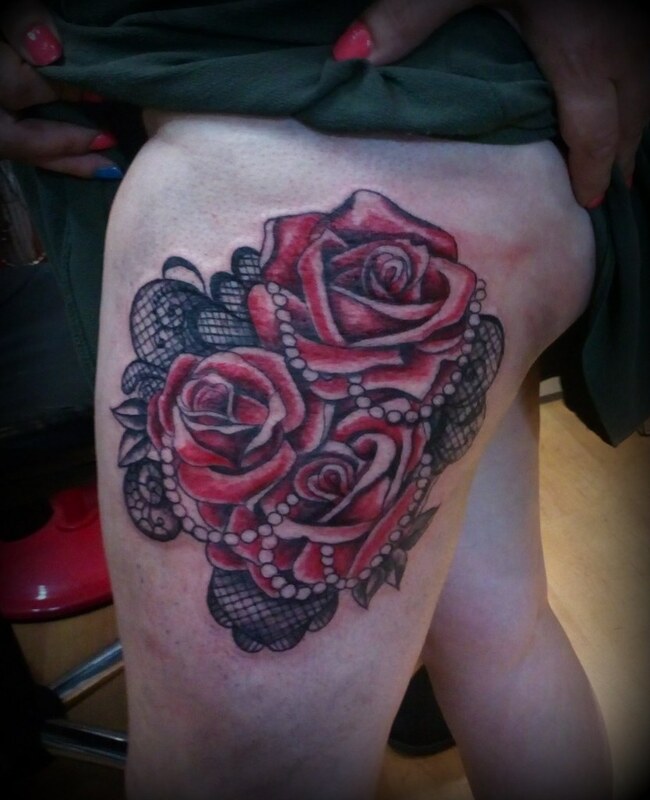 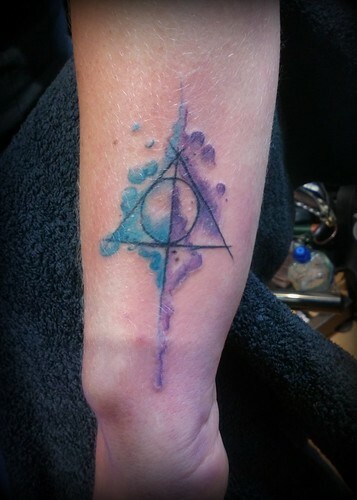 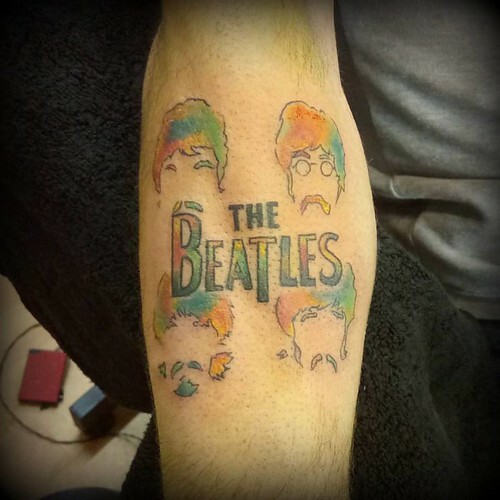 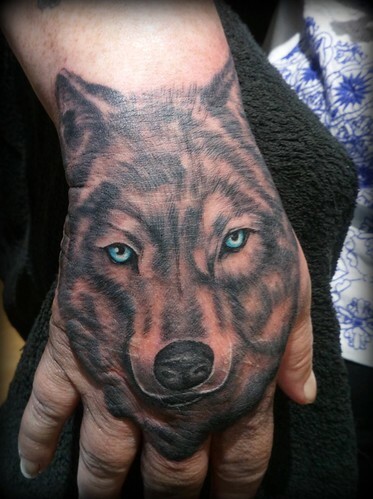 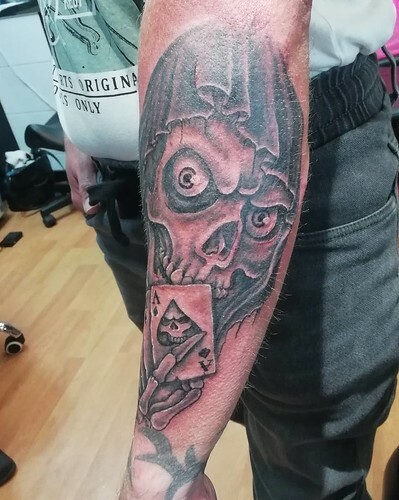 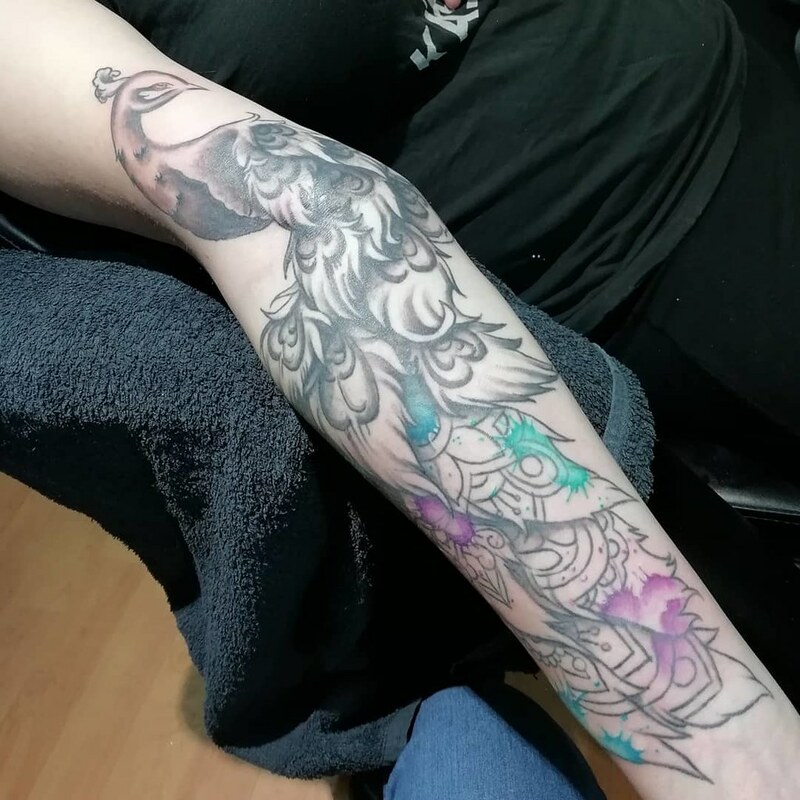 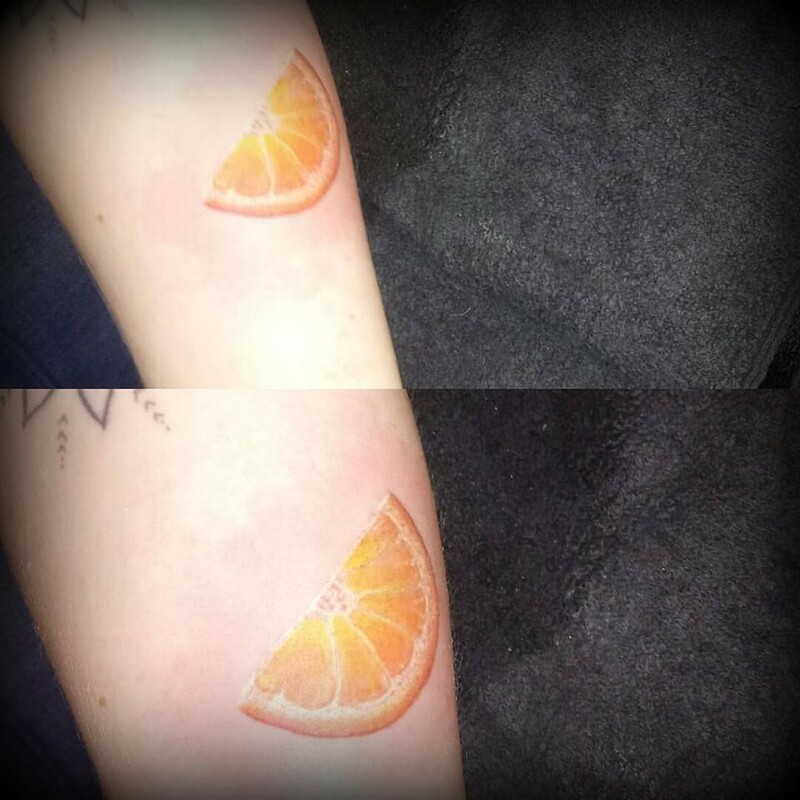 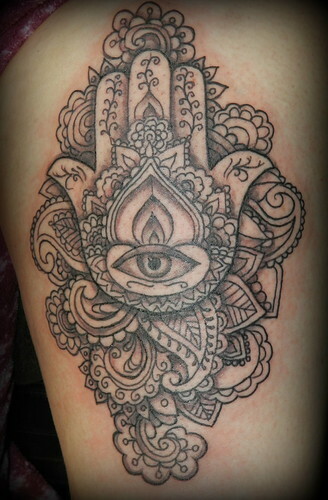 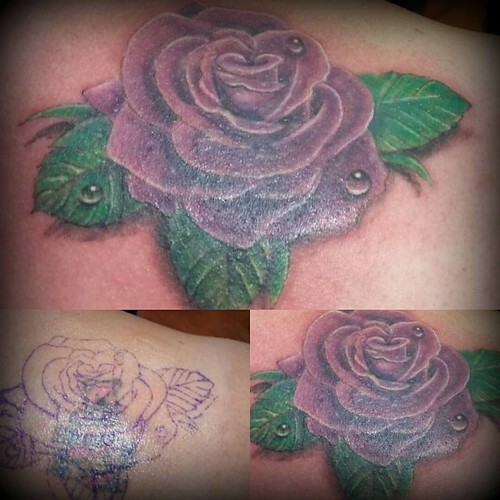 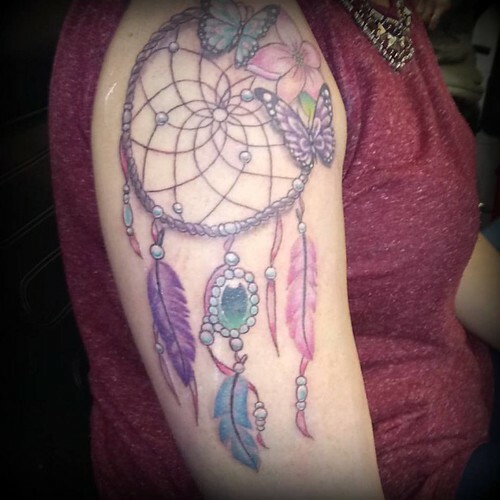 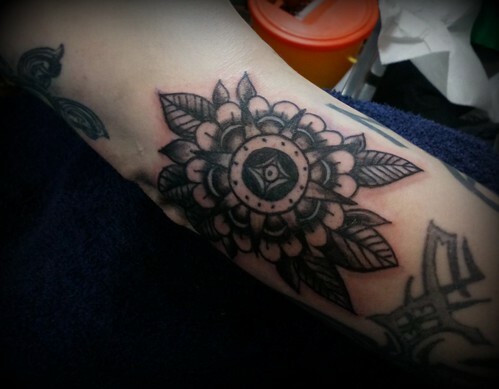 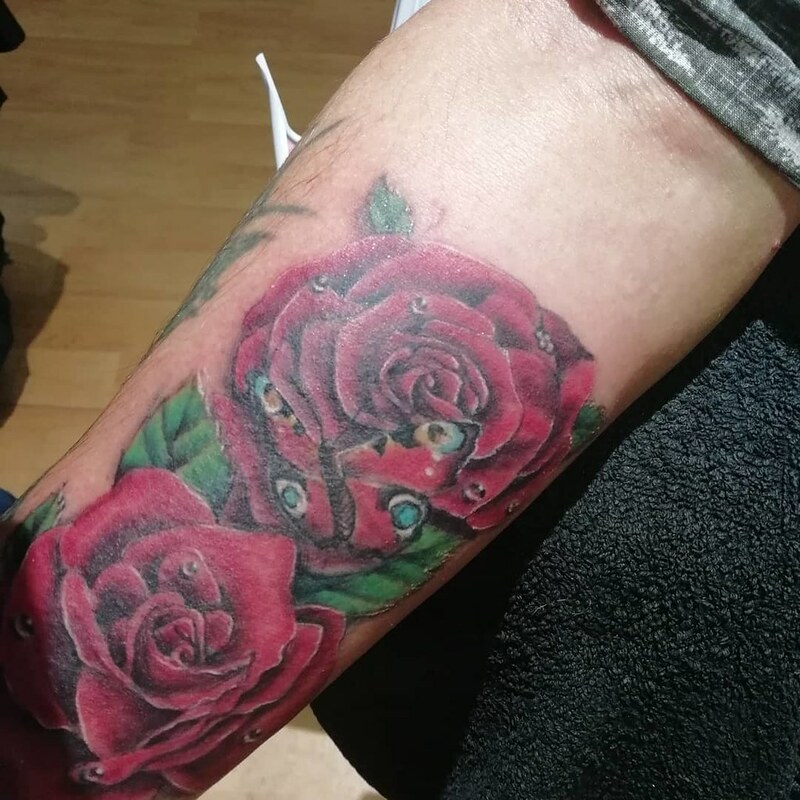 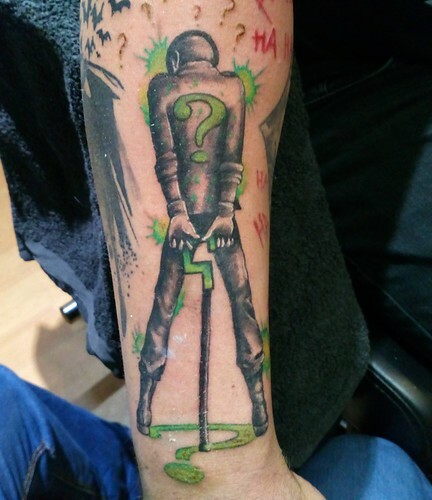 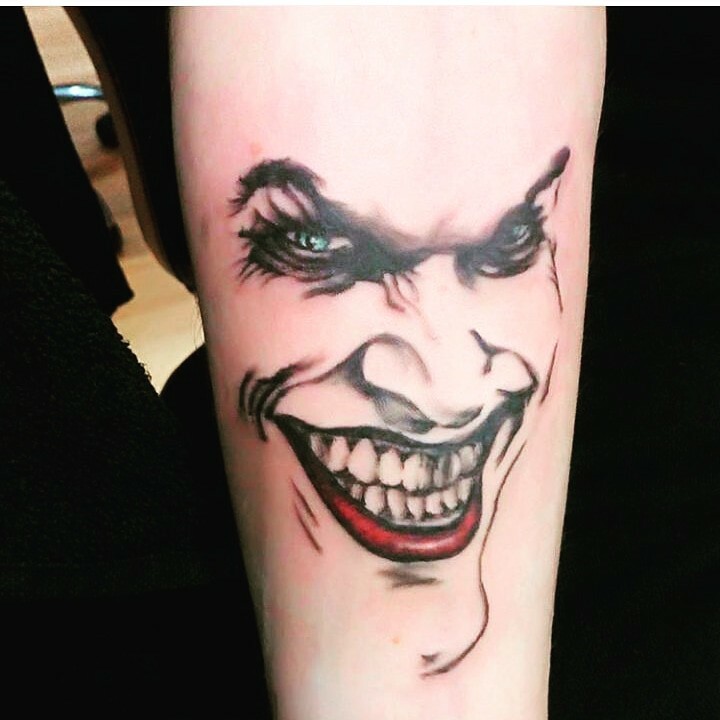 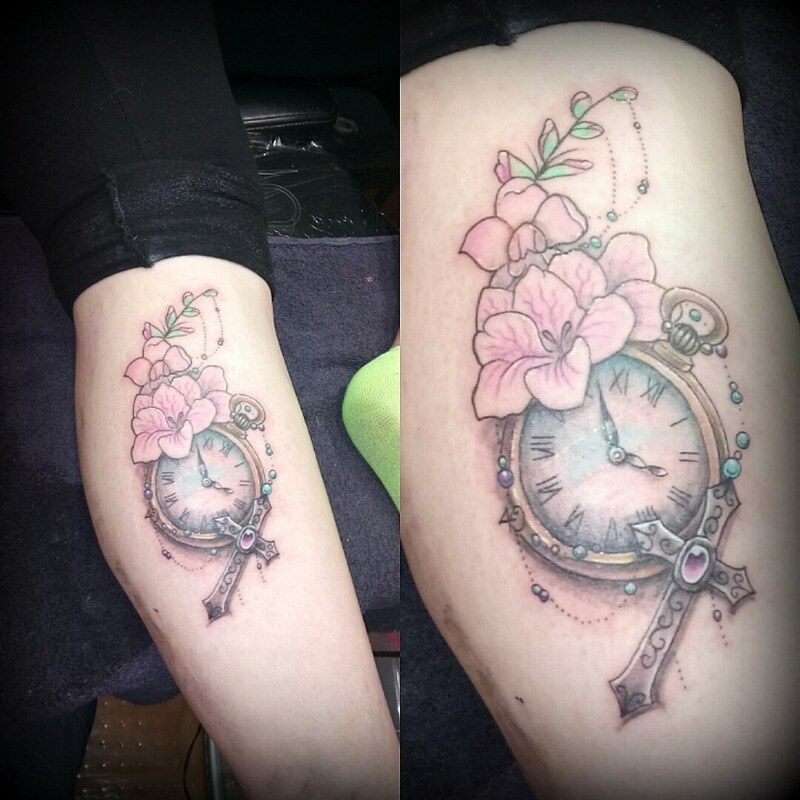 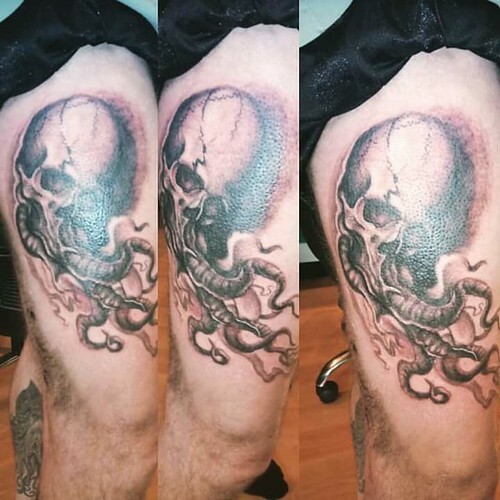 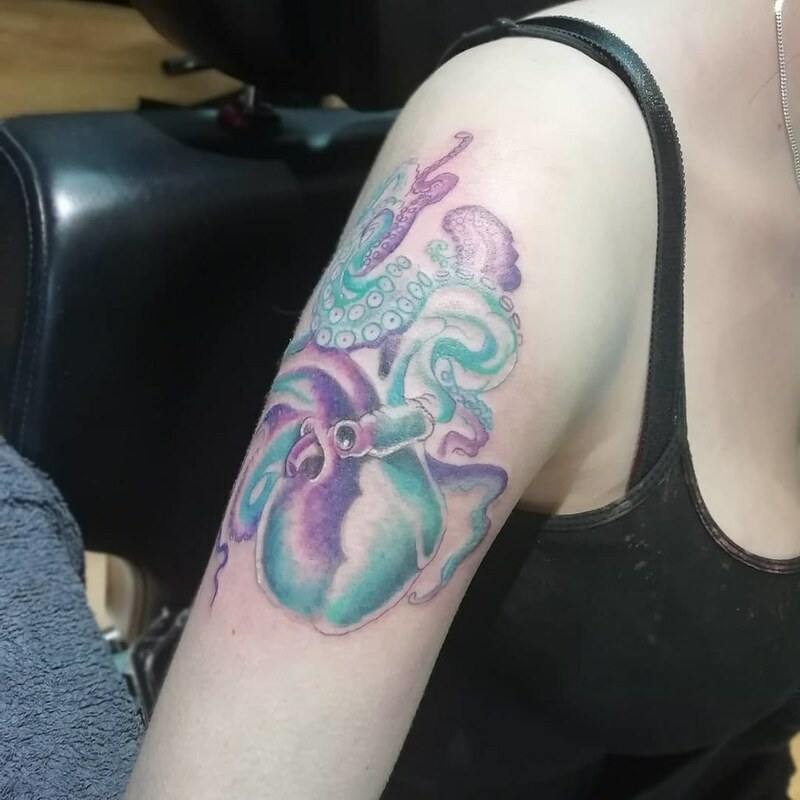 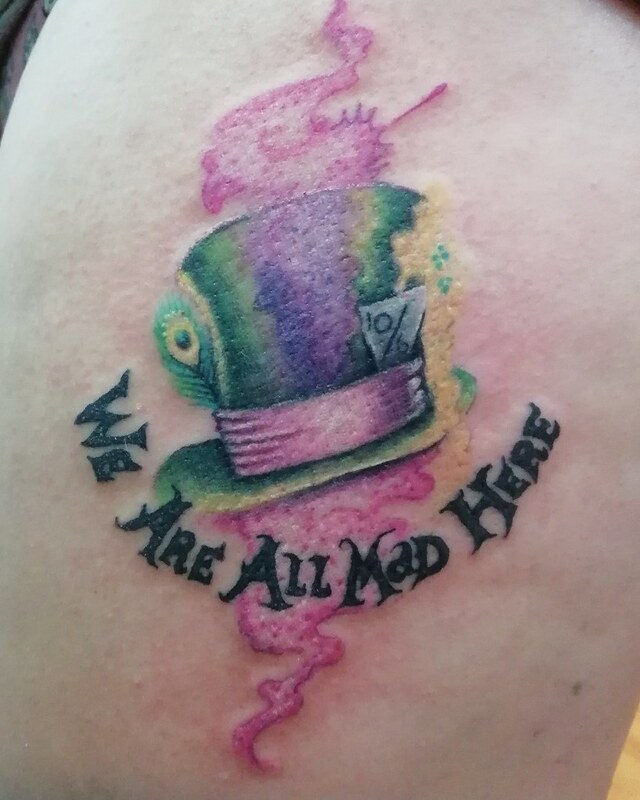 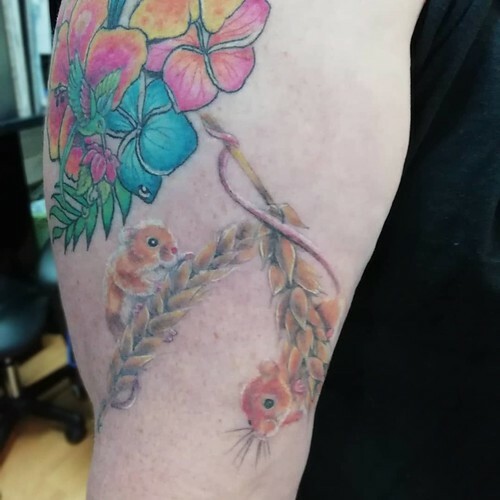 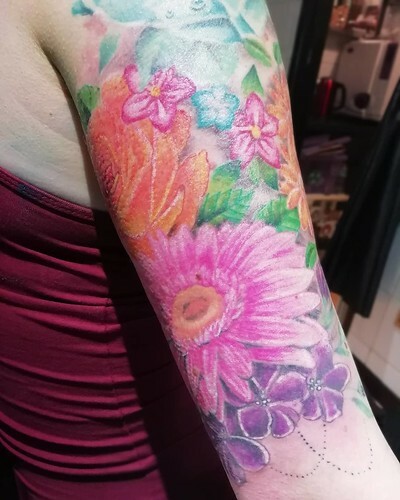 She is enthusiastic about all forms of tattoos and enjoys working with customers to create bespoke designs, large or small that will suit the individual’s body and content. 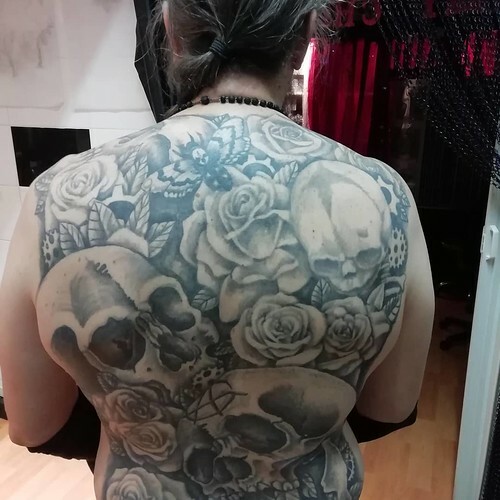 She does both colour and grey shaded pieces her preferences included retro, new skool, day of the dead, paisley/henna she also has a slight obsession with skulls, roses and tentacles.